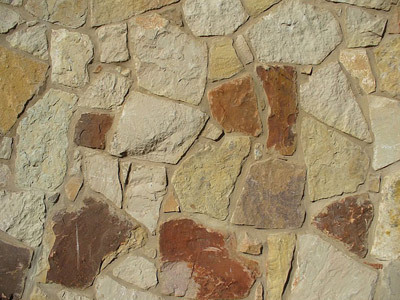 Stone Definitions - Cobra Stone INC.
3″­5″ thick, irregular shapes, averages 1 1/2 ‘ in diameter with a rough face, available in white, blue, yellow, red, weathered, and sandstone. Available in natural or sawn cut, commonly used for retaining walls, Usually sawn 6″ in height on top to bottom and chopped 6″­12″ deep, with random lengths. Approximately 4″ thick, rectangular in shape, random lengths, heights range from 2″­14″, sawn on top and bottom with a rough face, available in white, cream, blue, nicotine, gray lueder and sandstone. Also known as sawn stone. 3″­5″ thick, rectangular in shape, random lengths, heights range from 2″­10″, hand chopped on all sides with a rough face, available in most colors. 1″­3″ thick, irregular shapes, averages 1 1/2 ‘ in diameter with a rough face, available in white, blue, yellow, red, sandstone and Oklahoma. Available in 1 1/4″ and 2 1/4″ thick, typically 22″­24″ wide by 4’­6′ in length, Sawn top and bottom with a smooth face, available in white, cream, blue, gray lueder, and sandstone. Custom made to height, width and length, with specifications included.